Intellitec’s Flush Mount Fuse Block is the ideal answer to the problem of installing a fused distribution panel in a vehicle where a “finished” look is demanded. The Block provides spaces for up to twelve automotive type, ATO fuses. There are two versions, one with a single power input and the other with two separate power inputs. In the dual input version, the fuses are divided into two groups of six fuses and four, each fed from its own power input. There is also a single, isolated fuse that can be fed from a third source. 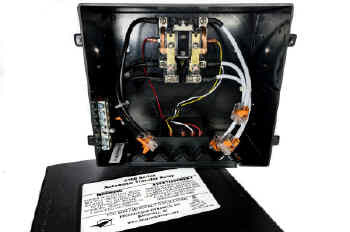 The unit comes with a snap-on cover that, when in place, hides the fuses, fuse puller, and mounting screws.